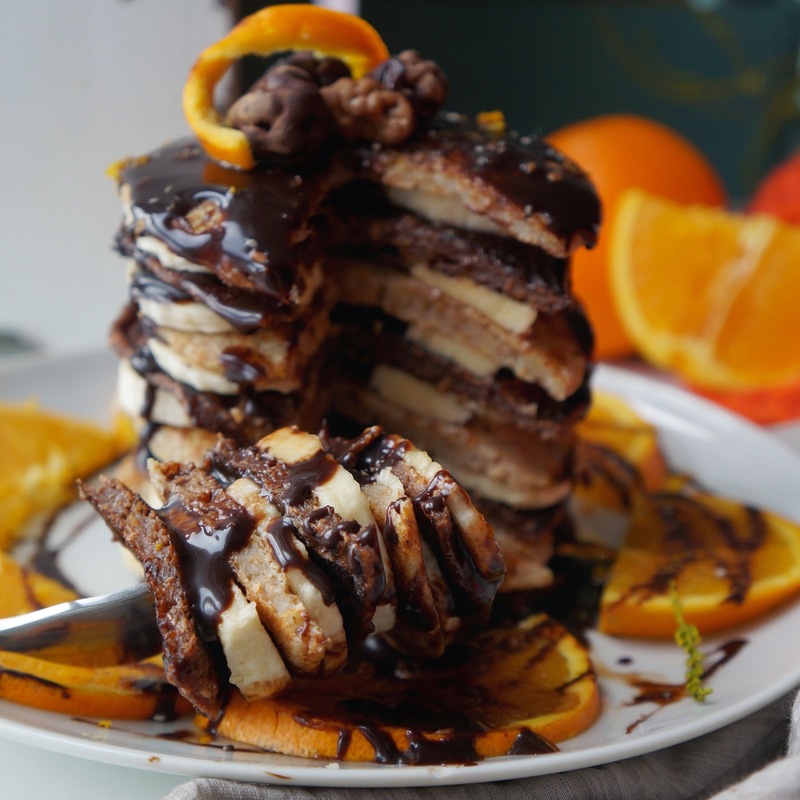 Fresh Heather : Vegan Chocolate Orange PANCAKES! Haaaappy Sunday! 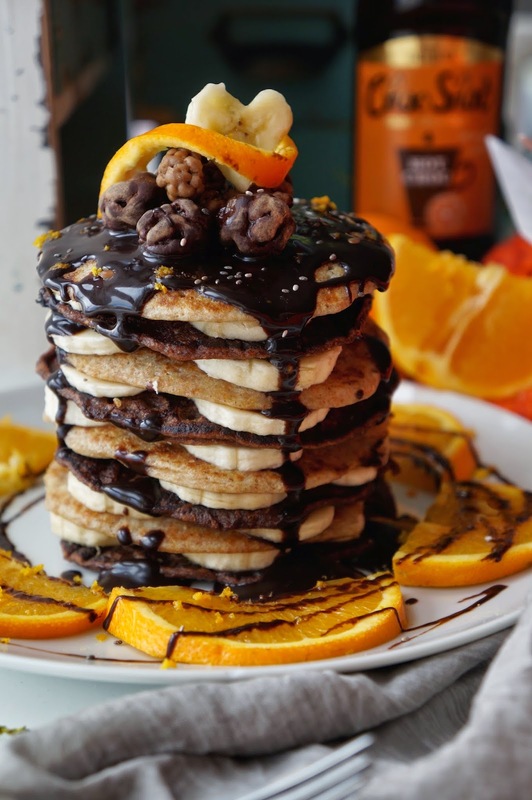 What better way to start a lazy Sunday than with a big ol' stack of pancakes. 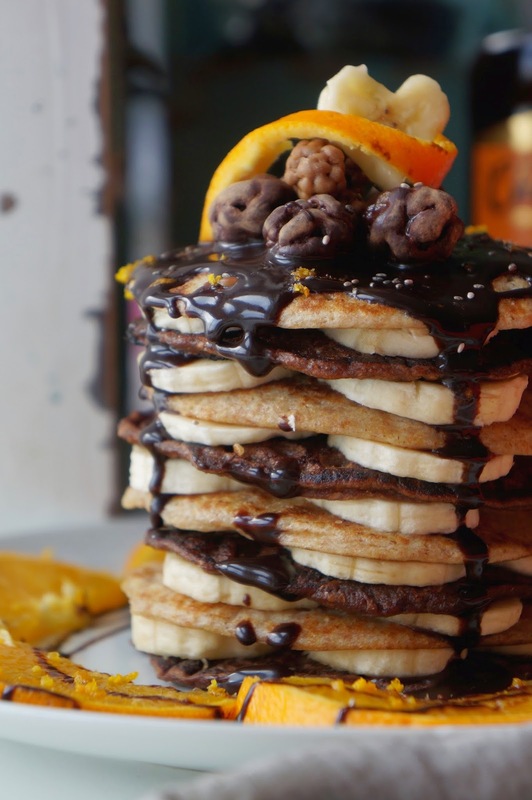 These pancakes also happen to be vegan - dairy and egg free! 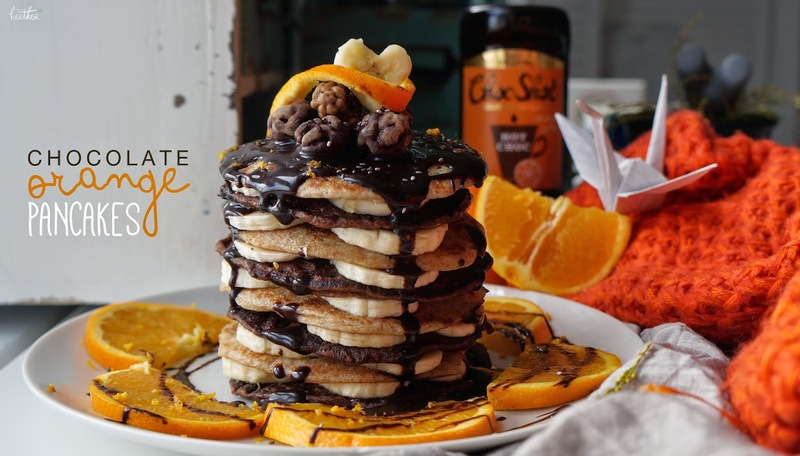 The flavour of these was inspired by the new Choc Shot chocolate orange flavour! 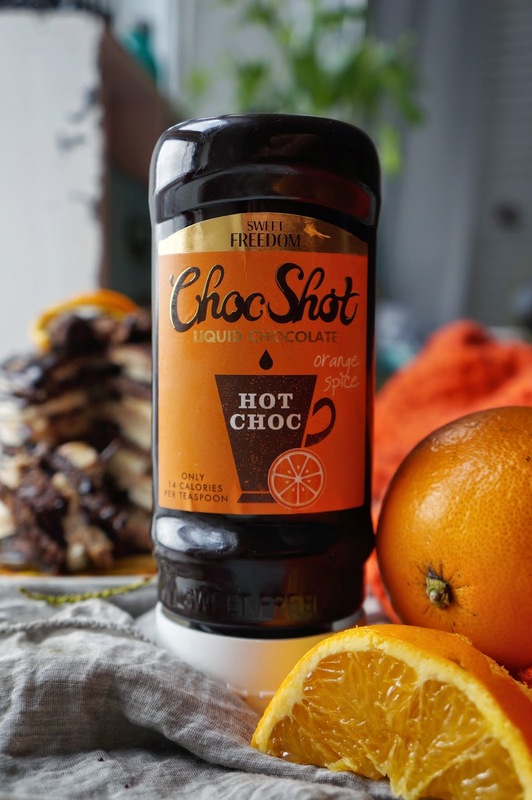 I am in love with Choc Shot, which you will probably know if you've read a few of my posts. 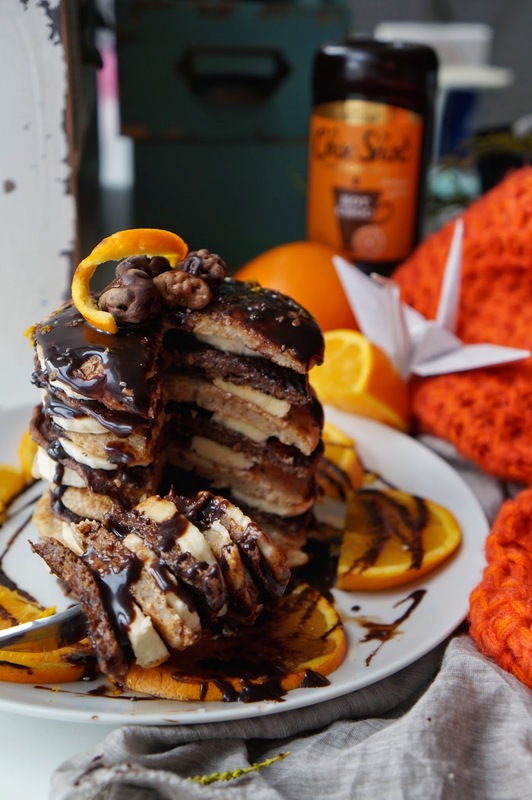 It is a vegan liquid hot chocolate which can also be used as a chocolate sauce, spread or drizzle! It uses a natural sweetener derived from fruits making it suitable for diabetics and is also gluten free. It is basically liquid gold, affordable liquid gold. 1. Combine flour, baking powder and natvia, leaving a space in the centre of the bowl. 2. 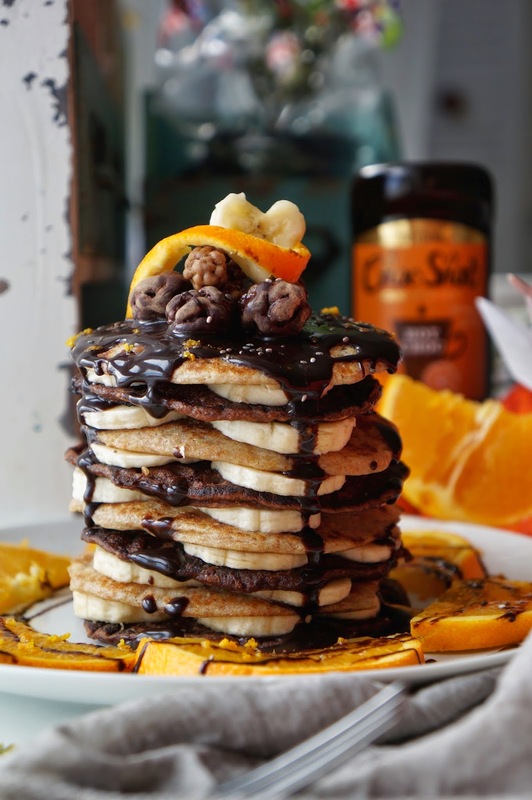 Pour in the milk, melted coconut butter and maple syrup, if using. 3. Mix thoroughly until mixture is combined and runny (add in orange zest at this point if using). 4. 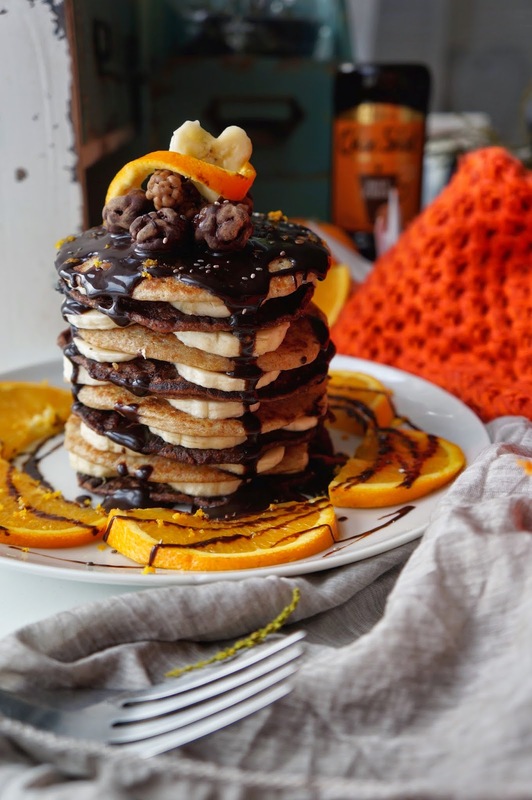 Heat a non-stick frying pan over a medium heat; add a bit of coconut butter until there is a thin but even coating over the pan. 5. 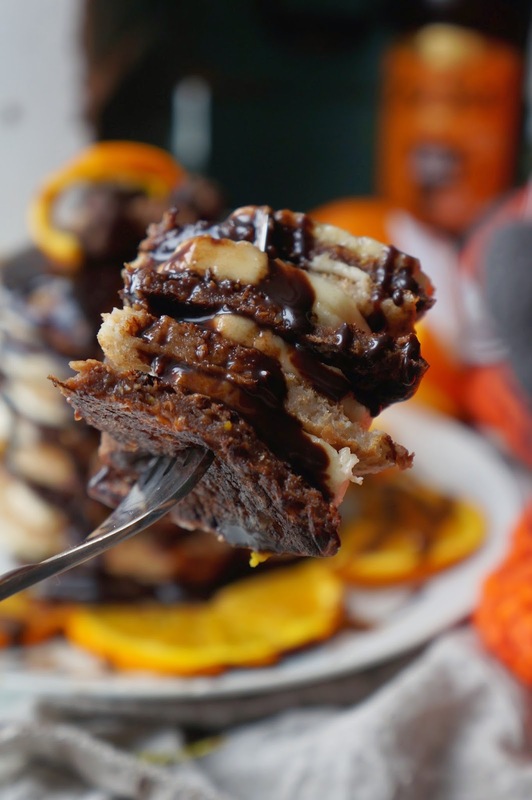 Add the mixture around 2 dessert spoons at a time, waiting until the bubbles appear on top (after around a minute) before flipping over with a spatula. You may need to replenish the oil halfway through. 6. 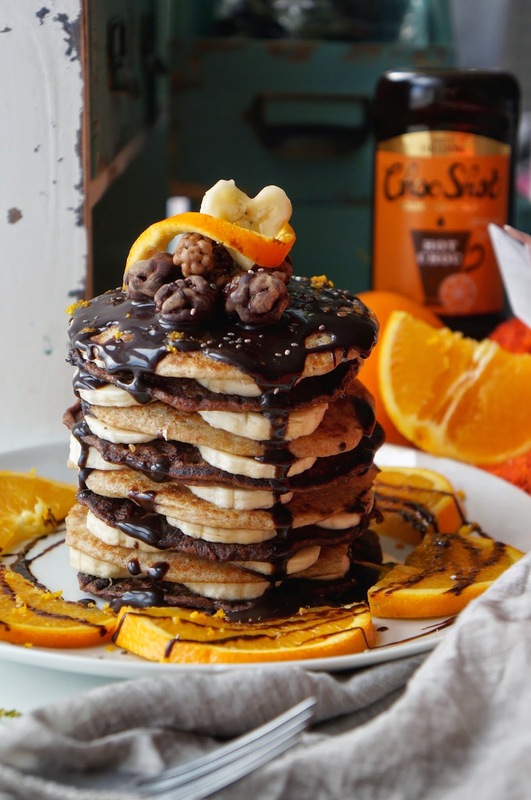 For mine, I made 4 pancakes like this then stirred around 2tsp choc shot (the orange flavour) into the remaining mixture so the remaining pancakes were chocolate flavour! 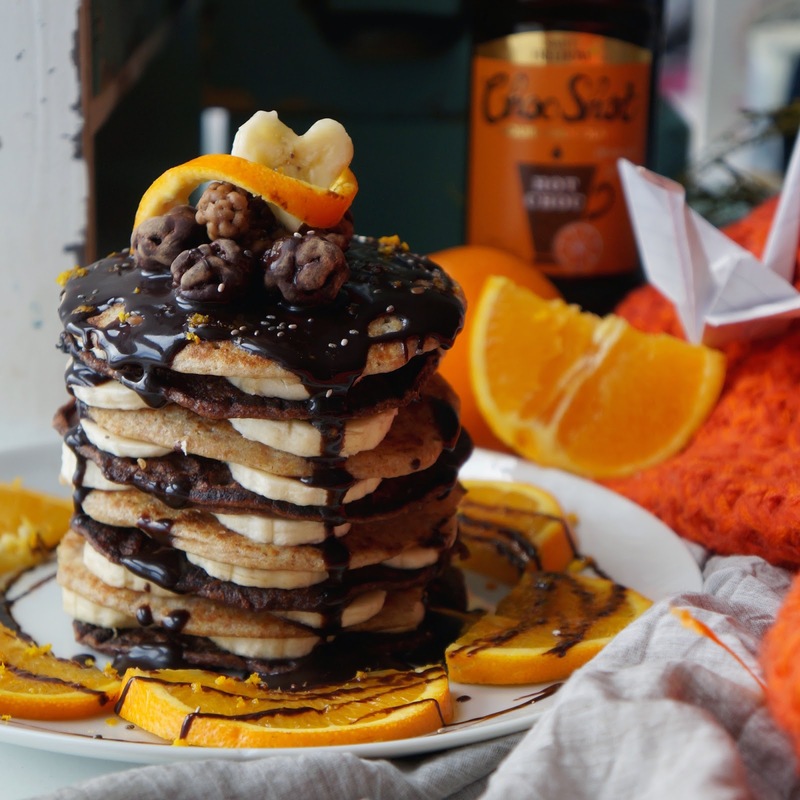 Layer up the pancakes alternating between regular and chocolate and serve with banana slices and topped with plenty of choc shot! 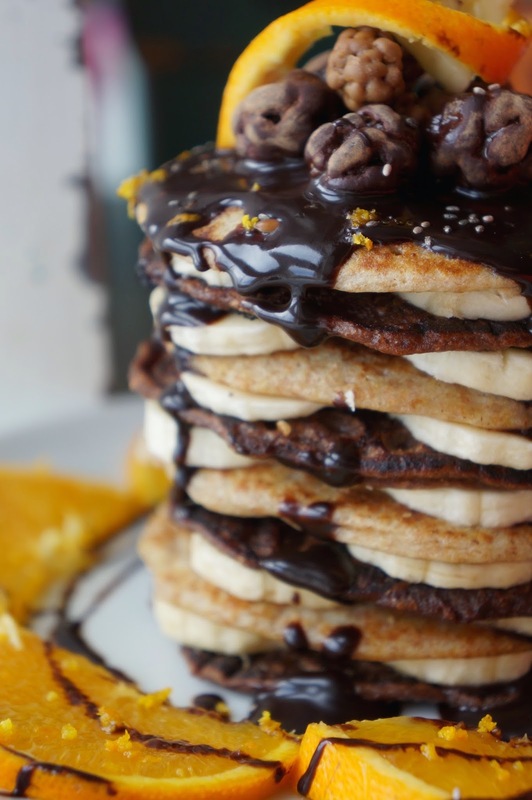 Mine are also topped with the raw chocolate company vanoffee mulberries and golden berries. 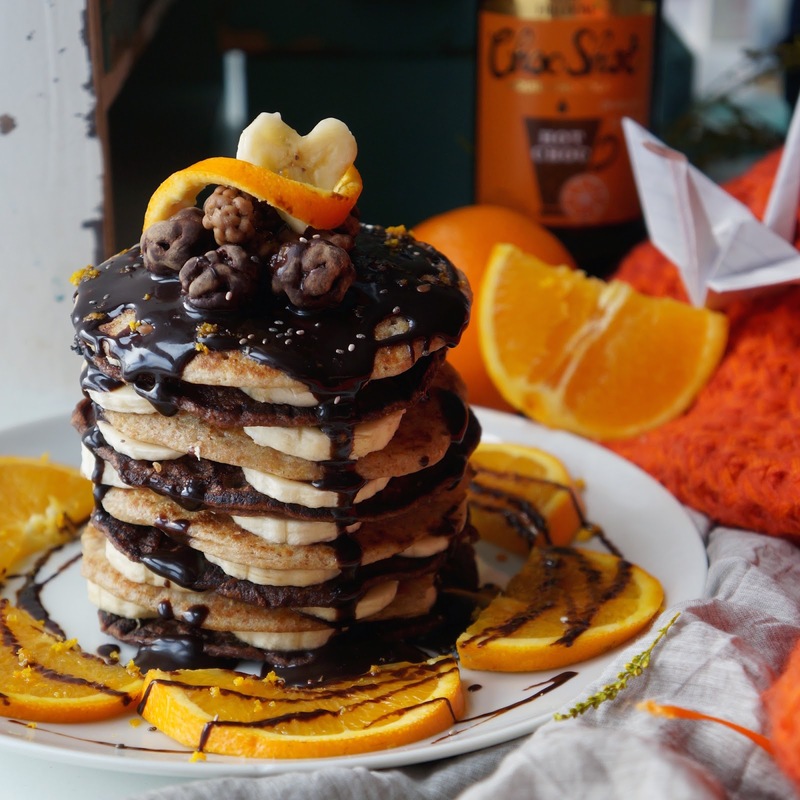 Yummy.I love pancakes,want to try this one.Its a great recipe,thanks a lot for sharing this blog with us.I think its better to eat veg foods for getting good health.Veg foods contains lot of nutrition and good thing that needs for better life.Try to eat veg foods and maintain your body healthy.Do you need essay writing help to perform well in your exams,try custom essay writing service.